When the thought of winter enters your mind, the first thing you think about is how to keep yourself warm and cozy. Obviously, that’s the right thing to do because no one wants a piece of that cold temperature outside. However, you should also be responsible enough to understand that you’re not the only one who needs warmth and protection all throughout the cold season. You also should take care of your plumbing pipes. Pipe insulation is one of the oldest tricks in the book. For every homeowner out there, learning how to insulate pipes is a must-have type of skill because the winter will come every year and it will never fail to freeze pipes that are not protected. The other tip is to heat them using a UL-approved heat tape, although it should be done cautiously as it can lead to a fire. Furthermore, the same article talks about the ways for you to thaw the pipes once they become frozen. There are times when you fail to do your job in insulating or heating them, so the only solution is to thaw them, but you ought to do it the right way or you risk breaking them. Heat Frozen Pipe: Use a hair dryer, heat lamp, electric heat tape, or portable space heater to thaw frozen pipes that havent burst. Start from the interior faucet end of the pipe, and work your way toward colder end of the pipe. See the rest of this post by visiting the link. Next, HouseLogic.com, in an article called “How to Prevent Freezing Pipes” talks more in detail about the scenarios where the freezing of the pipes might happen and the corresponding preventative measures you can do to avoid them in the future. If you dont have frost-proof spigots, close the interior shut-off valve leading to that faucet, open and drain the spigot, and install a faucet insulator. They cost only a couple bucks and are worth every penny. Dont forget, outdoor kitchens need winterizing, too, to prevent damage. If pipes traveling in exterior walls have frozen in the past (tell-tale signs include water damage, mold, and moisture build-up), its probably because of inadequate or improperly installed insulation. It might well be worth the couple hundred dollars it costs to open up the wall and beef up the insulation. When nothing else works, say for a northern wall in a really cold climate, the last resort is to reroute a pipe, notes Abrams. Depending on how far the pipe needs to be moved and how much damage is caused in the process this preventative measure costs anywhere from $700 on up. Of course, putting the room back together is extra. If you want to read the entire article, just click this. It is best that you call someone like a plumbing expert or qualified professional to ask for advice if you don’t really have a clue how to start. 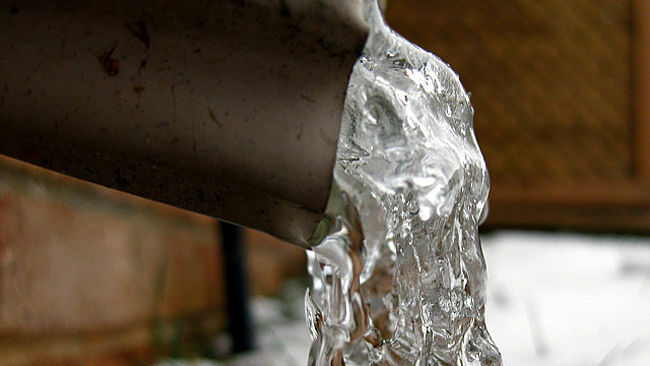 You see, the ways of preventing your pipes from freezing are things you cannot take for granted or ignore. They have to be done and you need to learn how to do them.